So today I had a bunch of leftover veggies in my fridge. We are getting a co op basket this weekend so I needed to make more room for it. So I took everything I had and threw it in a stir fry. As I said before, stir frys are an easy way to use up some leftovers in the fridge. Plus, they take only a few minutes to make. Cook the noodles according to the package instructions and set aside. 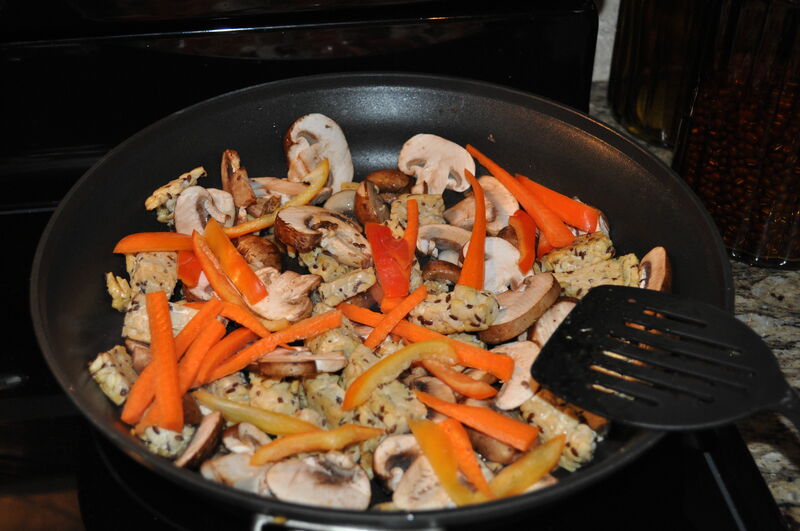 Heat a large pan on med with about 2 T sesame oil, garlic powder, tempeh and the mushrooms. 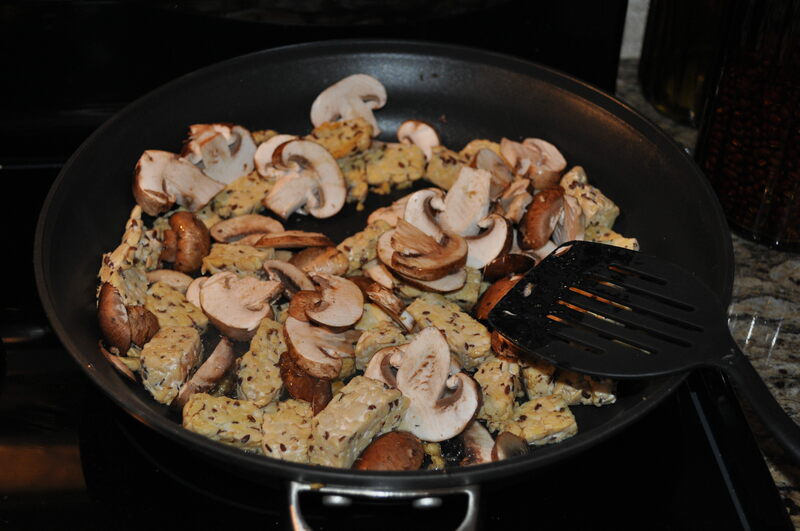 Cook the tempeh and mushrooms for a couple of minutes until they start to soften. 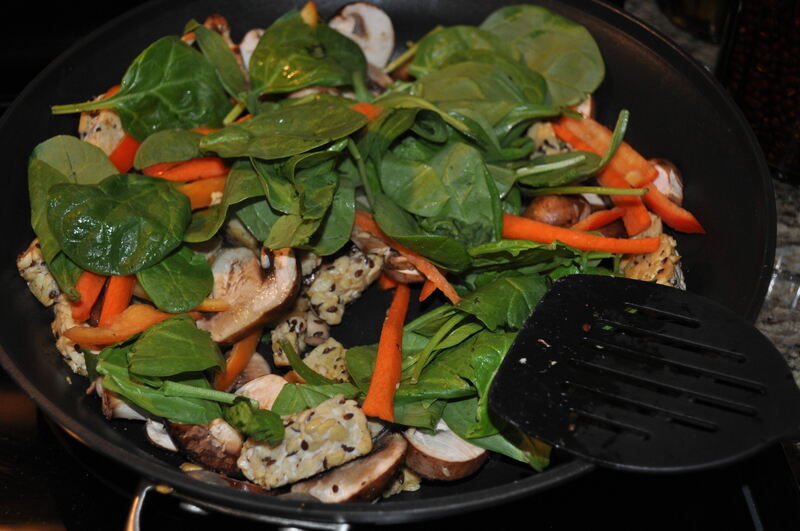 Then add the carrot and pepper.Cook these for another minute and then add the spinach. 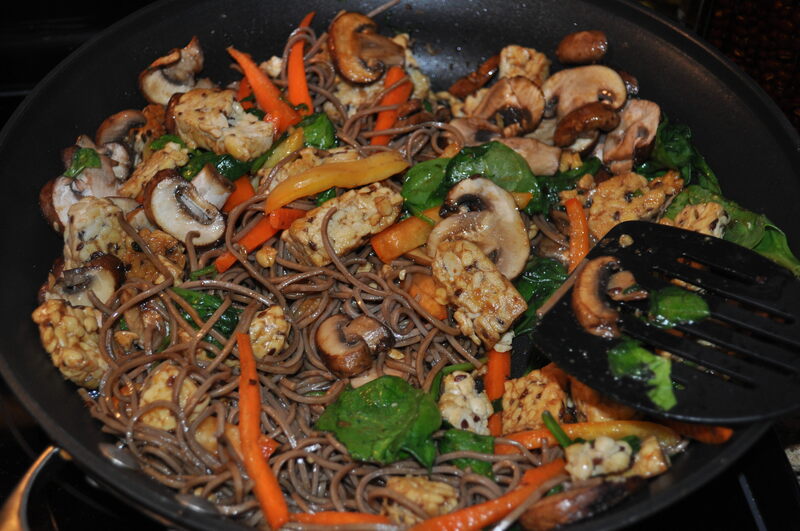 Once the spinach starts to wilt, add the sauce and the soba noodles. Toss this mixture around until everything becomes well incorporated. Plate and serve. Enjoy! what is tempeh? i keep hearing about it! also is miso a liquid, what about mirin? Tempeh is fermented soybeans. 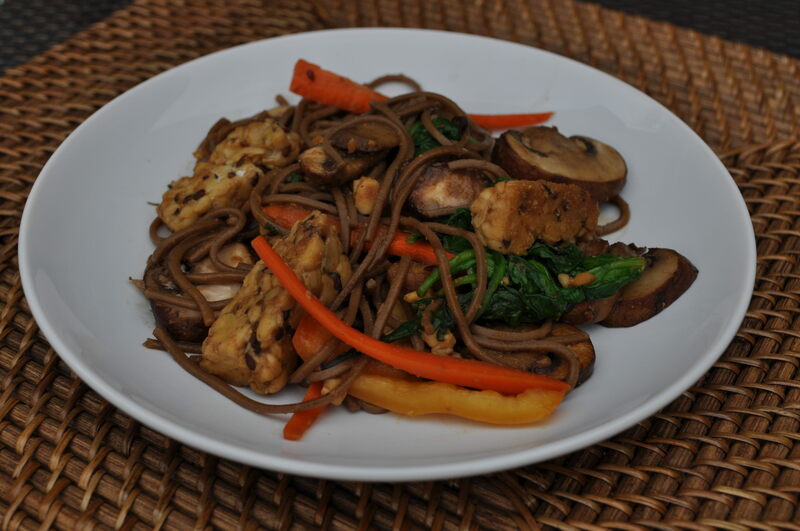 It has a earthy, nutty flavor that goes well with soy sauce. Mirin is a Japanese rice wine. It's sweet and helps even out the saltiness of the soy sauce. Needs a "save recipe" button! I am trying to convert them all over. They will eventually all be done. It just takes time. Got A Birthday Coming Up? Think Twice Before Buying This.